Maybe you accidently did something. Maybe you snapped. Maybe your estranged spouse made up allegations against you. Whatever the reason, if you are facing domestic violence charges in Pensacola or elsewhere in the Southeast, you need experienced legal representation, and you need it now. Things move quickly when you have been charged with a crime, and the attorneys at Michael J. Griffith, P.A. can make sure your interests are protected. As a result of the fact that domestic violence allegations are based upon certain underlying crimes, the defenses available for these crimes are also available for charges of domestic violence. This includes the defense of innocence. In a heated domestic dispute, it is not unusual for one spouse to falsely accuse the other of physical abuse. Such false allegations are often made without realization of the very serious impacts they can have on the accused and the couple’s family. At the Pensacola law offices of Michael J. Griffith, P.A., our criminal defense lawyers will thoroughly investigate your case in order to uncover all available defenses that we can raise on your behalf. If you are a victim of false accusations, we will work diligently and strategically to have your charges dropped and allow the truth to prevail. Regardless of the facts at hand, we will put the gloves on to fight for your freedom and protect your good name. In addition to providing aggressive representation in court, we are also experienced and compassionate Pensacola family law attorneys who can help you and your family address difficult domestic issues and get through difficult times. We also maintain close relationships with counseling centers and treatment centers throughout the area, where you can get help with a variety of issues that may be impacting your family life. 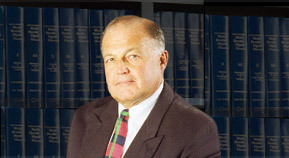 The skilled criminal defense attorneys at Michael J. Griffith, P.A. are here to fight your charges following a domestic violence arrest. We provide aggressive representation that gets results. Contact us online today to schedule your free initial consultation. Located in Pensacola, Florida, we represent individuals facing domestic violence charges throughout the Southeastern United States.